Cute Mid-century modern in Sherwood, which is known as Forest Hills. 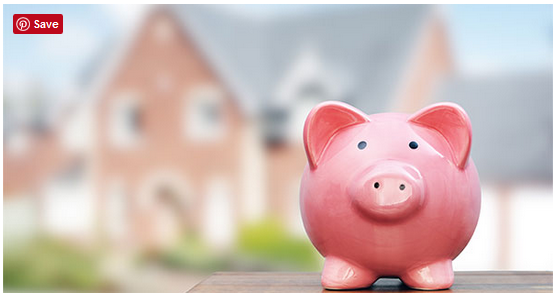 Build your equity with payments less than rent! Built as a 3 bedroom, 1 bath, but a nice den and all important 1/2 bath have been added. Home comes with a refrigerator, washer, and dryer. Metal roof will last for years and years. Patio off den to relax and a nice carport to keep your car covered. Eating area in kitchen open to living room. One bedroom needs flooring replaced. Home sold "as is" but not in bad shape. With a little updating you can watch your investment grow. 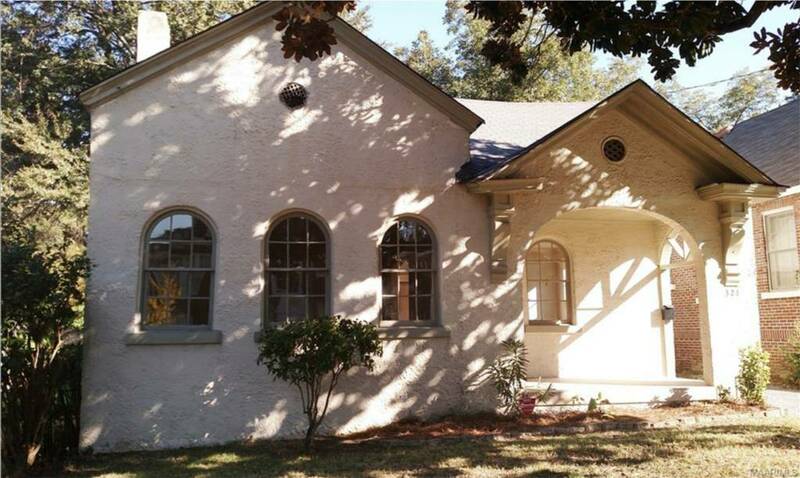 Adorable Cloverdale cottage on one of the most desirable streets! Step right in to find a wonderful open floor plan, perfect for entertaining family and friends. The charming kitchen is updated and has a huge breakfast bar. The bedrooms are spacious and the master bath has been beautifully renovated and there's even a walk-in closet! Other recent upgrades include newly refinished hard wood floors, freshly painted interior and exterior, brand new HVAC and a 3 year old roof. In the back yard there is a wired building that could be a workshop, studio/office, man cave or just storage. Literally steps away from fabulous restaurants and shopping district of Midtown Montgomery that has everything you would need. Check it out today! 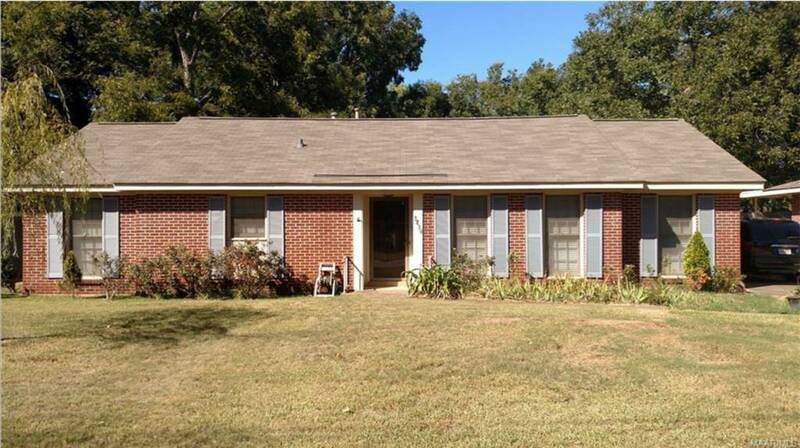 Wonderful starter home or investment property in Montgomery Heights. One family has owned this property for the past 73 years and it has been well cared for. Plenty of room with a spacious living room/dining room, breakfast room, den and a finished attic for an additional bedroom or bonus room. Last but not least, is a nice sun room overlooking a huge deck and lovely backyard. There is a green house and storage building in the back as well. Don't miss this opportunity for a great deal! Move-in ready in beautiful Thorington Trace! This one owner home situated on a quiet cul-de-sac has been meticulously cared for. Split floor plan with tall vaulted ceilings in the master and living room give it an open feel. Wonderful neighborhood that has a great community atmosphere and ideal location just minutes from restaurants, shops and East Chase. Check it out today! 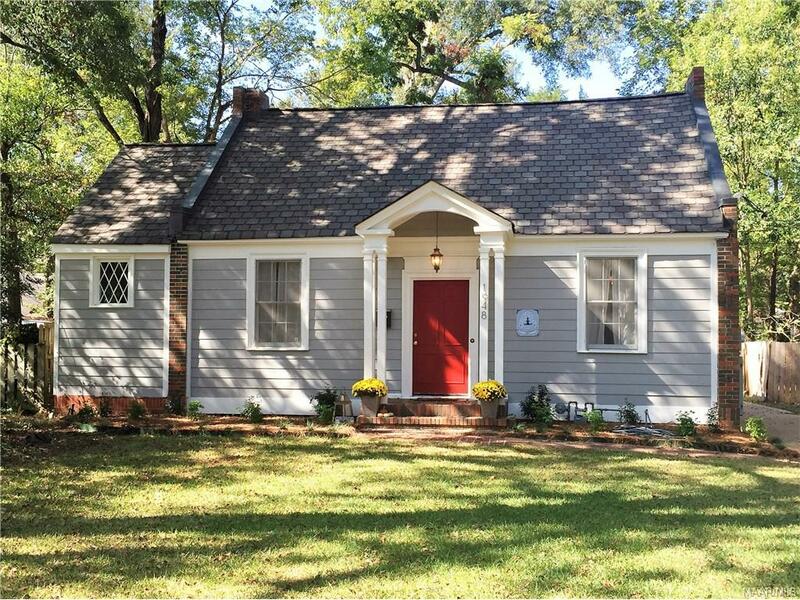 Located in the center of Midtown Montgomery's vibrant historic district, this classic bungalow is within walking distance to some of the town's best eateries and drinking establishments. Covered porches and shady yards compliment outdoor living and exchanges with lovely neighbors passing by. If you appreciate old-world charm and vintage architectural details, you will absolutely love being greeted each day by the massive arched front door. Continuing that detail, three arched front windows flood the living room with light, and the stone fireplace will give warmth and atmosphere for cozy evenings. Grand or intimate dinner parties can be enjoyed in the formal dining room, while more casual meals suit the butler's pantry area with great built-in serving station (and doubles as additional counter space.) And, you won't have to scrimp on master bathroom space, as this one has plenty of room and has been nicely updated. Call us or your favorite agent for a private tour of this charming bungalow. 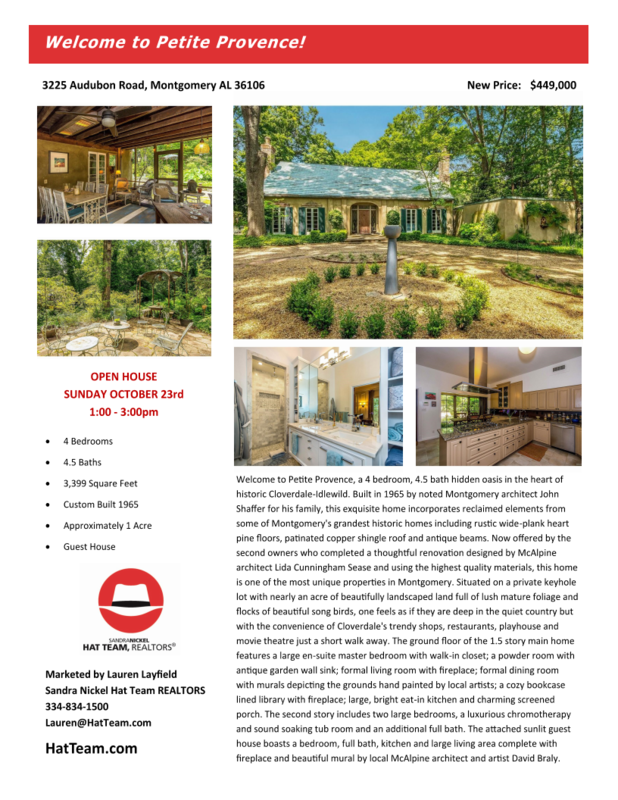 Marketed by Montgomery AL Realtor Billy Young, Sandra Nickel Hat Team REALTORS. 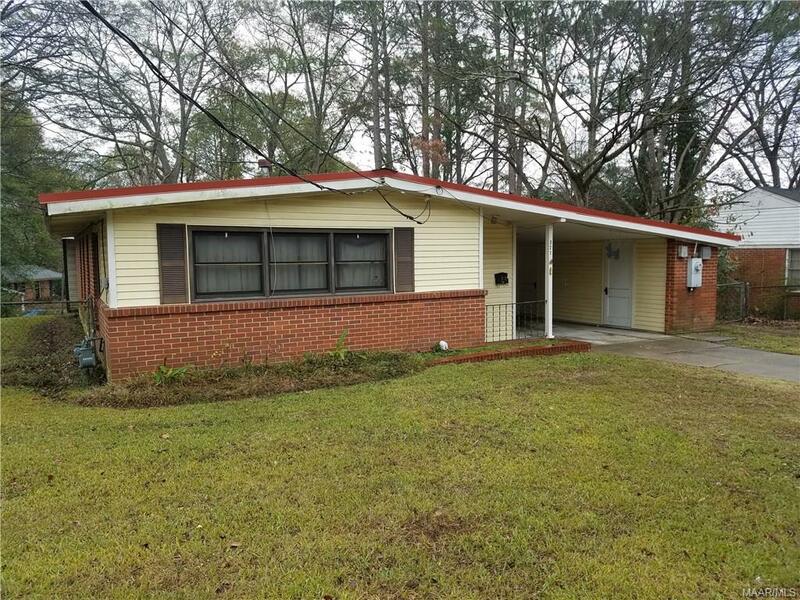 Great investment property with 3 bedrooms in Grove Hill neighborhood! 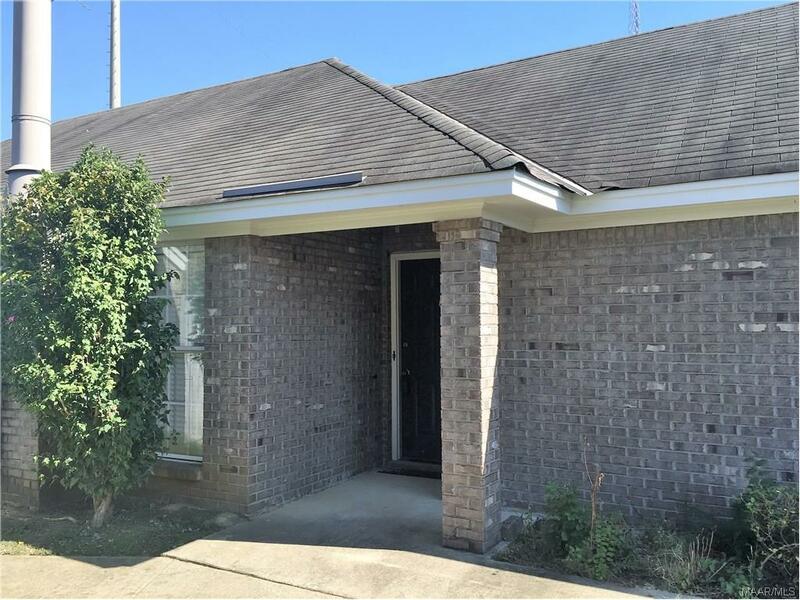 Make yourself some money on this great investment property in Midtown Montgomery! Home needs lots of work!! Formal living /dining, kitchen open to den with fireplace. Hardwood floors. Three bedrooms and two full tiled baths. Separate laundry, two car detached garage, and a covered rear patio! Beautiful lot near Publix and shopping on Zelda Road! Marketing by Montgomery AL Realtor Frank Powell, Sandra Nickel Hat Team! Wow! 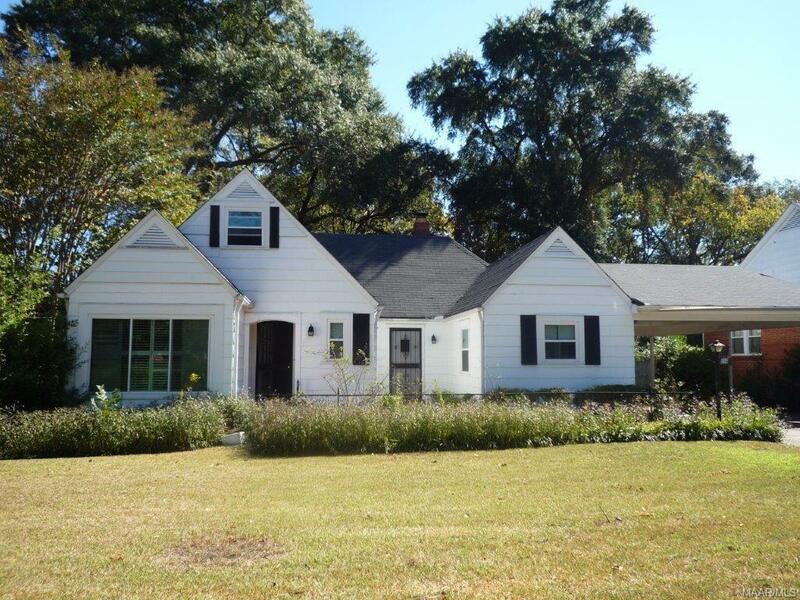 Step into this well thought out renovation in Historic Cloverdale-Idlewild! You will think Chip and Joanna Gaines have worked their magic on this inviting home. This fabulous house boasts three bedrooms with three full baths. It showcases a formal living room with a beautiful dining room. The bright open kitchen with all new solid surface counter tops and appliances is the perfect place to host your next party! The kitchen opens into a comfortable den with a custom built fireplace and large windows that overlook the deck. Not one but two glassed in sun-porches to enjoy your morning coffee on. They are located off the kitchen and the main suite. Main bedroom has his and her custom walk-in closets. The main bath has a luxurious deep claw foot tub to soak the day away. There is also a walk-in shower and two separate sinks areas. Roll open the custom barn doors to the front bedroom. The gleaming refinished hardwoods are stunning. This home also features fresh new designer paint colors, new period hardware, new posh lighting and the list goes on and on. Step out back to your spectacular entertaining spaces. You have an attractive deck along with your very own gathering cottage that has a pool table, plenty of room to play poker and host football parties. And there's more! You have a large room at basement level for arts/crafts or would make an incredible workshop! Old fashion portico to park out of the weather. And last but not least, a truly southern front porch. Walk to the Cloverdale Playhouse, Capri Theater and numerous restaurants or bars of Midtown Montgomery. Give your agent or us a call to see this modernized beauty today! Historic covenants apply. Rear structure cannot be used as living space per city of Montgomery code! Located literally one block from desirable Dalraida elementary, you could walk your kids to school! This well maintained home is ready to move into and start living your dream of home ownership. Entertain friends in the living room and dining room featuring hardwood floors, and cook family style in the kitchen designed for more than one person at a time! Spacious L shaped family room is in full view from kitchen through large pass through and doorway, so Mom can watch kids while preparing meals. Relax and unwind on the screened back porch overlooking the large shady back yard. For the handyman, there is an attached workshop with plenty of lighting for crafts and home projects (and there is an additional detached storage building out back for yard tools or kids toys.) Located conveniently to Downtown, I-85, and PLENTY of shopping and dining. Marketed by Montgomery Realtor Billy Young, Sandra Nickel Hat Team.